LOS ANGELES, July 29, 2014 -The Melvins return with Hold It In, their first studio album as a quartet since 2010's The Bride Screams Murder, on Oct. 14. 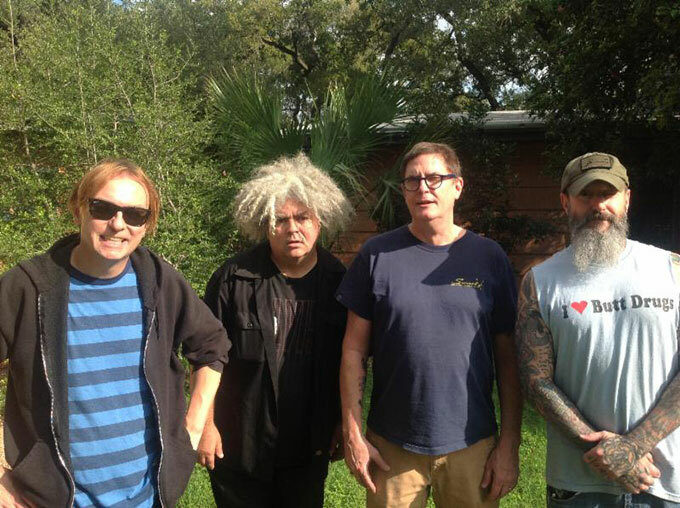 The Melvins kick off a round of U.S. tour dates on Oct. 15 in Sacramento at Assembly, which also includes a performance at this year's Voodoo Experience in New Orleans. Osborne, Crover and Pinkus will be the touring roster for this run of dates. Tickets are on sale this Friday, Aug. 1 at 10 am local time. Osborne is currently touring in support of his debut acoustic album, This Machine Kills Artists, performing shows this week in Tucson (July 30 at Club Congress) and Palm Springs (July 31 at Pappy & Harriet's) before heading to Australia and Europe for an additional six weeks of dates. Crover temporarily joins OFF! for the band's August tour.